In September, the United States made a statement pushing India to sign the Hague Convention on child abduction, noting the country’s interest in preventing child abduction from the U.S. to India (the second highest only after Mexico). The U.S. is using the annual U.S.-India consular dialogue—on September 27—to draw attention to the issue. Following the breakup of a marriage, one parent commits child abduction when they take a child from the U.S. without the consent of the other parent and/or in direct contravention of a U.S. court order. Currently, 96 countries have signed onto the Hague Convention, and there are 94 cases of child abduction from the U.S. to India. 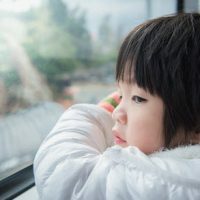 The Hague Convention on the Civil Aspects of International Child Abduction (also known as The Hague Abduction Convention) provides for an expeditious return of a child who has been internationally abducted. In doing so, the Convention preserves the status quo child custody arrangement–which existed before the wrongful removal of the child–and applies to children under the age of 16. It is important to note that a child can be determined to be taken in violation of these custody rights even if both parents are still married and neither holds an official custody decree. The Convention defines wrongful removal or retention of a child whenever it is in breach of child custody rights of the State in which the child was habitually resident immediately before the abduction, and declares that the removal of a child by one of the joint holders without the consent of the other is wrong. The Convention also dictates that the court where the Hague Convention action is filed should determine the country in which the child custody dispute should be heard (versus considering the merits of the underlying dispute itself). In that sense, the Convention requires that the child be returned to the country in which they are a “habitual resident,” and that all Contracting States (i.e. countries) proceed expeditiously in seeking the return of the child. That decision must specifically be made within six weeks from the date any proceedings commence. India has been working towards signing the Convention for over a decade, but has been delayed due to existing Indian laws, which must first be amended before it can be signed by the country. The U.S. also plans to highlight the issue of domestic abuse, which is an issue that often accompanies child abduction. The attorneys of the Arwani Law Firm have handled difficult cases involving abduction and domestic violence, working tirelessly to ensure that our Florida clients and their children and families are safe. The issue is unfortunately common in a state like Florida, which is home to many couples that may have multiple residences in several countries. Whether you are located here in Orlando or abroad, we provide the very best legal counsel. Contact us today to find out how we can help.